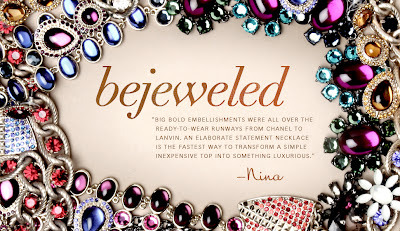 Nina Garcia has teamed up with Baublebar for the month of September to launch a new collection every week revolving around a trend. 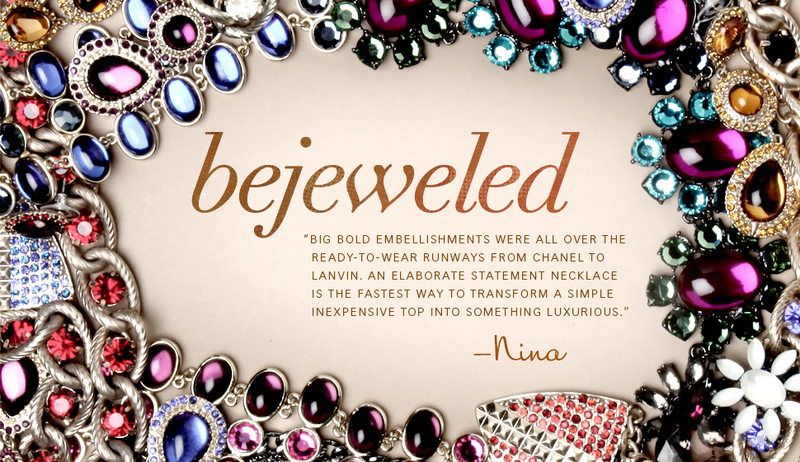 The first collection is called Bejeweled and it is just as sparkly as it is fabulous! The pieces are all very affordable, ranging in price from $30 to $84 per piece. Above are some of my favorites from the collection. What's also great about this collection is that Nina offers styling advice for how to get the trends using the pieces in the collection in a beautifully designed slideshow.